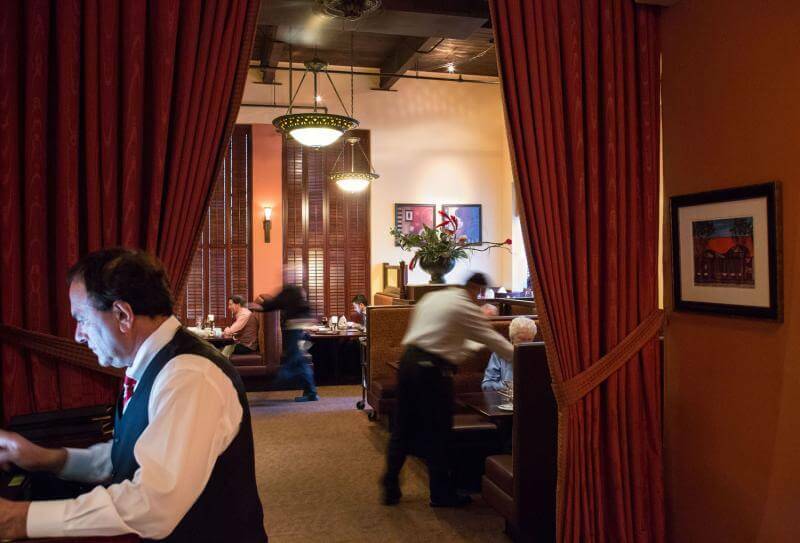 Our focus is to create the finest "classic steakhouse" experience in San Mateo County. Our warm and inviting atmosphere along with the familiar faces of our staff set the tone for a memorable evening. Recognition and genuine hospitality is ordinary in our fine, family-owned steakhouse. Our menu features aged Mid-West beef, fresh seafood, seasonal produce and ingredients. Our philosophy is house-made is the only way. We take pride in making all stocks and sauces in house - the key essential in operating a fine steakhouse with French influences. There are no shortcuts, as four of the five Mother Sauces are used on our menu and made throughout the calendar year. These four sauces include: Bechamel, Veloute, Espagnole, and Hollandaise. The tomato sauce is the one Mother Sauce not used on our menu. In addition to our excellent stocks and sauces, all of our fine desserts are made in house as well. 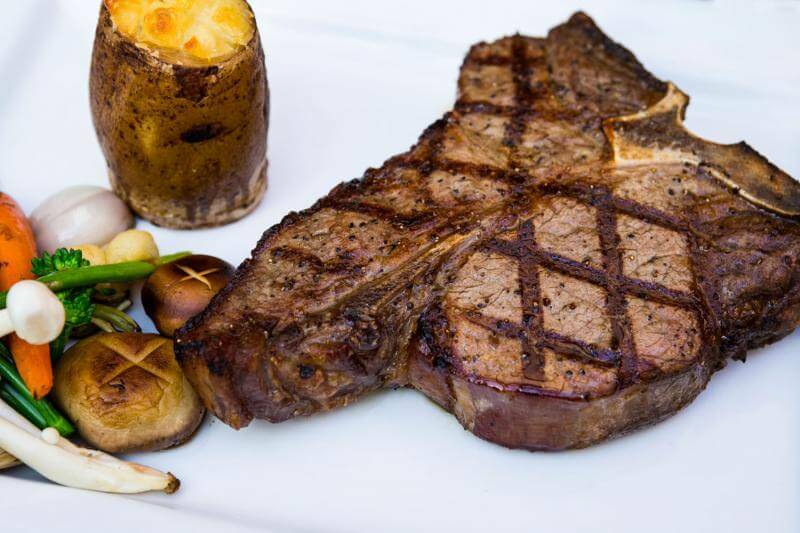 The name of our steakhouse, PorterHouse, celebrates the most preferred cut of beef. The Porterhouse cut is a fine steak taken from the Short Loin, where both the Loin and Tenderloin originate. While both the Porterhouse and the T-bone steaks are essentially the same cut, they are each taken from their respected side of the Short Loin. The Porterhouse wins praise due to its significantly larger Tenderloin. When looking at a PorterHouse, one will see both a Filet Mignon and a New York Strip separated by the legendary T-Bone. Since January 2013 we have dry aged all of our steaks in-house, in our cooler located in the lobby. Here you can see whole short loins and whole ribs as they age over 28 days.